Precise and controlled movements designed to build awareness and control of your posture. Pilates is a system of exercises structured to build core and pelvis strength while at the same time improving posture awareness. This class is suitable for all levels with the instructor modifying the routine to suit. Posture and awareness of breathing in postures to help create a balanced strong and lean physique and restful mind. Hatha yoga is taught in a non-heated studio with a comfortable ambient temperature a nice restful space to improve focus and balance. 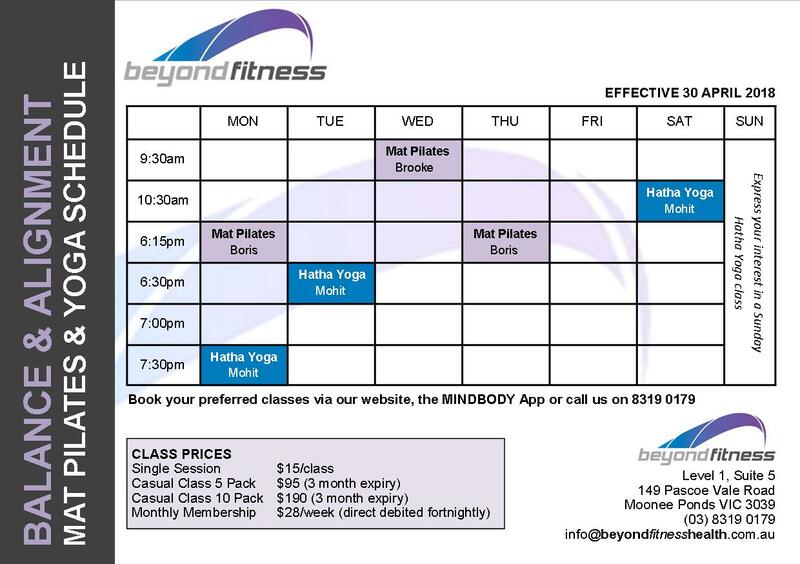 Try either Pilates or Yoga or try them both with our different pricing options. Want More Information On Our New Yoga Course? Click the Button Below!